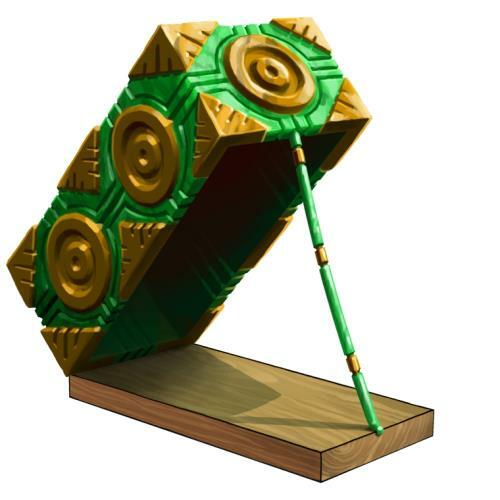 This beautiful jade and gold version of the Ancient Box Trap is sure to make any mouse trapped inside its solid walls truly appreciative of the skill and artistry that went into its construction! The Ancient Relic Trap Skin can be used on the Ancient Box Trap. The trap's stats (power, power bonus, attraction bonus, etc.) are not changed. The Ancient Relic Trap Skin can be found in Relic Hunter Treasure Chests beginning with Season 1 and can be traded on the Marketplace or through Give To Friends. 29 August 2012: The Ancient Relic Trap Skin was introduced as a reward within Season 1 Relic Hunter Treasure Chests. This page was last edited on 9 December 2017, at 09:12.